Let start with a simple button that we can experiment with. This will give us a standard system button. Here’s what that looks like. This button looks pretty nice and has a great animation when it’s clicked. The problem is that the button is a bit plain. If you are working on a project, with strong branding, you might want to add some color, to make the UI feel more distinct. Let’s define a primary color. I’ll use dark green as an example. Now the first thing you might try is setting the tint color. Let’s try the setTitleColor method. This looks better. 🎉 Setting the title color works rather well for a destructive action when set to red. However, it’s more common to want the background color of the button to match the branding color. Usually, we can just set the backgroundColor property of the button. Using an image for a button works reasonably well actually so we could just set an image containing the desired color. Here’s some code to create an image with color. Then we can just set the button color with this. Finally, the right background color! For this color, we should probably set the text color to white. We already know how to do this. Another common request is to set the background color only when a button is selected. This is an especially nice touch for screens with multiple buttons. You may have noticed that, so far, we have been setting the button properties for UIControl.State.normal. But, we can, just as easily, set it on the focused and highlighted states. 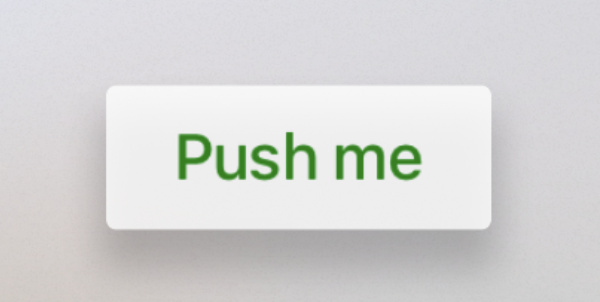 Adding color to your UIButton elements in tvOS isn’t all that hard, once you know how. The difficulty is that it doesn’t quite work how you might expect, coming from iOS. I hope that my findings, through trial and error, will save someone else some time in getting to the result.